Oman, unlike many other Arab countries, possesses a rich cultural heritage which has captured the hearts of many tourists. The cities of Oman even though modernized, still manage to maintain an air of calmness. The country is also blessed with beautiful green mountains and lovely beaches. A tour around the mountain area can be a tranquil experience as its greenery lightens up the surroundings. Accommodation can be found in one of the resorts located in the mountains such as the Anantara Al Jabal Al Akhdar Resort. During your visit, you should not miss out on some of the traditional Omani food that is served at different restaurants in Oman. These eateries offer a wide range of food choices where you can select anything to your heart’s content. Among the must have Omani food and drinks, the “bizaar” takes the first place according to many tourist reviews. This is a dish of meat made with the most common spices such as pepper, ginger, saffron, cinnamon and turmeric, and is accompanied by some traditional rice and wheat that is boiled, which is named as “haree”. Chefs from different parts of Oman use their creativity to introduce new and extensive ranges of dishes. Even though these dishes are prepared using the same common spices and ingredients, there is still exceptionality between each dish. Kahwa, laban and yogurt drinks are some of the famous beverages that are served at homes and restaurants without fail. These can be a revitalizing way to start or end your day. A sweet dessert to enjoy after a meal is the “Halwa” that is made with a mixture of rose water, flour, saffron and brown sugar. Its taste will keep you asking for more. If you have heard of Nasreddin and his night-time adventures, you are probably already familiar with halwa. This sweet-flavoured delicacy is usually served at Omanese homes before you are offered Arabic coffee. The halwa is made of various ingredients such as eggs, sugar, starch, water, ghee, saffron, nuts and cardamom. Rose water from the Jebel al Akdhar, a mountain in Oman, is also used for the preparation of halwa. This sweet is cooked in a mirjnl, which is a massive pot specially designed for cooking halwa. The entire cooking process will not take more than two hours. Even though halwa could be cooked on an electric stove or a gas cooker, the ideal way is by using firewood. The Omanese have their own indigenous wood, which is reputed for durability as well as its odourless properties. Although you can find halwa on the menu of most Oman restaurants, it can be hard at times to find places that do halwa really well. The best quality Halwa has a bigger quantity of rosewater, saffron, dates and other varieties of dry fruits. Once the cooking is over, you can keep the halwa for over four months. Within that period, it does not require any refrigeration or the addition of any preservatives. The Omanese serve halwa in a big bowl. This delicacy is served mostly at celebratory occasions such as religious or national festivals. If you visit a local home during a festive season, you are more likely to be served halwa. If you want to know more about Oman’s religious or national festivals, or where to get your hands on some authentic halwa, just make an inquiry at the helpdesk of the hotel you are staying at such as Al Baleed Resort Salalah by Anantara or any other. They should be happy to help. A rich experience, dining in Oman is as exciting as it is to explore this historic country. The variety of food in Oman is rich in flavour and caters to different taste palettes. In traditional Omani household, the main meal is eaten at mid-day followed by a lighter meal by evening. These meals are fairly simple to cook, however a lot of marinating and impregnating of meat goes in to the cooking. Chicken, fish and mutton are regularly cooked within households. Although spices are used in abundance, Omani cuisine is not hot. Unique in its taste to even to that of other gulf states, food here has a unique blend of meats, spices and sweetmeats. Interestingly the country’s traditions are a blend of Arabian and Indian influences. Shawarmas, Biryanis and Middle Eastern grilled dishes are popular among the present society. 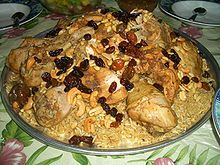 There are plenty of café’s in Oman that offer rich Omani food. The simple street food spots serve delicious Shawarmas and Biryanis and the bigger and better ones offer a wider range of Arabian delicacies such as Kabsa served with Arabian flat bread. The classic Omani dessert is Halwa. This well-travelled dish has made its mark in the world and many versions of it are made all over the world. It’s a wheat based dish that is a mixture of semolina, ghee, rose water, sugar and cardamom. This dish is served traditionally in ceramic bowls, although more functional plastic cups are being used today. Food is a tradition here in Oman, you would learn. A meal brings the family together; to share their stories of the day. It plays a large role in the lifestyle of a regular Omani. Coffee is another culturally rich tradition. Distinctively different from European coffee, Arabian coffee is made out of milk, sugar and strong spices. These aromatic, slightly bitter drinks are served in handle less cups. Hotel Sur Oman is a beautiful hotel in the traditional fishing village of Sur. This hotel provides a comfortable stay to those travelling to Muscat. Choose Sur Plaza Hotel among other Oman Hotels for a truly luxurious experience and discover amazing Oman while staying at a truly lavish atmosphere.